As for the Ghost Ship, since I made the only two rooms for the first floor that I can make before prototypes of the rest have been made, I've decided to move on to do things for the second and third floor instead. While the design of these floors haven't been properly established, there are a bunch of rooms we know we want to include. One such room is a kitchen, so in preparations for making the room, I've spent some time making a ton of props for the room. 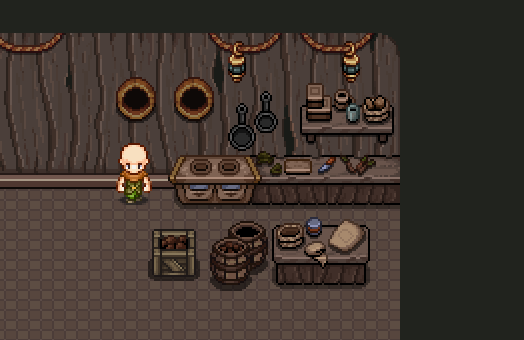 Perhaps not all of these will be used, and perhaps I'll need to make some more once we actually design the room, but this is a good base to have - and in worst case, I'm sure we'll be able to use some of these props in other parts of the ship (or, in other parts of the world)!